Aging is one of the painful realities that we cannot escape. All of us will become old and weak. Like our grandparents are already at the twilight of their lives. The sad part here is, some of our elderly people are not being cared for by their immediate families because of personal and financial reasons. That is why, they are recommended to enter in the nursing facility. A Nursing home is for those people who do not need to be in the hospital but cannot be cared for at home. 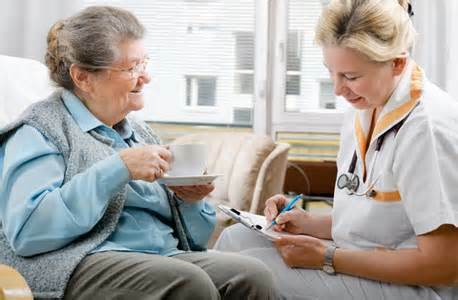 Most nursing homes have a nursing aide and skilled nurses who are available twenty-four hours a day. Nursing homes are not only for the elderly but also for anyone who requires twenty-four hour care. Most people think of nursing facilities as place that is soul-less, where residents either lie on bed or sit in the rocking chairs endlessly. However, what many people don’t know is that a nursing facility offers a lot of activities to make the lives of their patients colorful and fun. They have daily activities to keep both their bodies and brains active. In fact studies have shown that daily interesting activities contribute to a decline of depression among nursing home residents. It helps to keep their bodies and their spirits alive. Stimulating regular activities for the nursing residents are vital to keep their mental and physical well-being in good shape. The staff, visiting family and friends can take part cheerfully in the activities that the nursing homes provide. The Goal of the nursing home is to keep people both happy and healthy as possible, for their both physical and mental aspects. The activities should be varied and be interesting, as well as suited to the different disabilities. They should not only be fun but also a worthwhile activity that can help build a good relationship, develop new skills and keep up their fitness level. The United States has about 19, 000 nursing homes, and more than 1.5 million of Americans live in them. Most of the homes are owned privately, and others are operated by the government. Some are also operated by profit-driven corporations. Others are sponsored by religious and civic organizations. Different states have laws regulating the operation of nursing homes, and even require them to get license. In order to ensure they follow the law, periodical inspections are conducted. An admirable nursing home is it matches both the medical and psychological needs of their patients with their existing resources. For instance, not all elderly individuals require the same medical care. A study shows that a lot of relatively healthy people live in nursing homes that have excellent medical facilities. While other patients who need more medical attention live in inadequate medical facilities. Most elderly people who live in nursing homes are still productive. Some institutions provide activities for such residents. 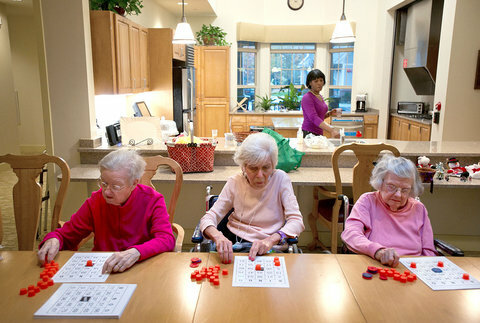 A good nursing home encourages their residents to have hobbies and to participate in various activities and services involving them in the community. Most families agree to put their elderly loved one in nursing homes as a last resort. Sometimes, they do so when the person’s health conditions grow too severe and the family finds it difficult to take care and keep the relative at home. For other old people, who decide for themselves to stay at nursing homes, they regard it as a final step before death. For those who have a family member who needs a special medical care or treatment, you may already know the term nursing home. A nursing home is usually a destination for individuals who don’t really need to stay in a hospital but cannot be treated at home. 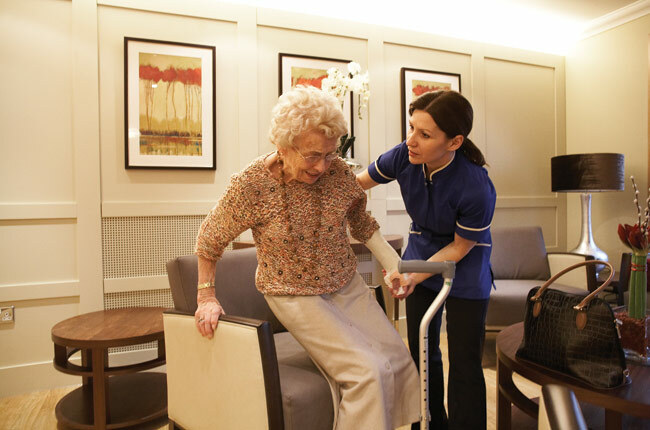 The majority of nursing homes include nursing aides and skilled healthcare professionals accessible round the clock. Several nursing homes are set up just like a hospital. Employees deliver health care, along with speech, physical and occupational therapy. There is usually a nurses’ station on every floor. Additional nursing homes act similar to a home. They attempt to have a neighborhood feel. Usually, they do not have a fixed day-to-day schedule, and kitchens may be available to residents. Personnel should build connections with residents. A few nursing homes have particular care units for those who have really serious memory problems such as Alzheimer’s disease. Many will let couples live with each other. Nursing homes are not only seen for the elderly, but for any individual who requires 24-hour care. Nursing homes supply nursing care and similar services to those who need nursing, healthcare, treatment or any other special services. These services are licensed by the state and may even be certified to participate in the Medicaid and/or Medicare programs. Certain nursing facilities may also satisfy particular requirements for dementia care. The most important part of a nursing home other than the quality of the health care services is the feeling of security and belonging. These people don’t need to feel being in a hospital but rather in a home where they can feel the presence of a family. Author ErikPosted on January 6, 2015 Categories Online ClassroomTags Care Lapses in Nursing Homes, Compensation for Nursing Home Injuries, Considering a Nursing Home, crucial factors in a nursing home, essential things in a nursing home, Neglect in Nursing Homes, nursing home, Nursing Home Care, Nursing home directors, nursing home facility, Nursing Home Importance, What is a Nursing Home?Leave a comment on What is a Nursing Home? There are many nursing home facilities in the country today. If you are considering a nursing home for yourself or for a family member, there are a few things you need to consider. Before admittance, you need to inquire with the management to determine the services they offer and the facilities available. There are different services a nursing home provides. It depends on the location or focus of the facility. The usual services include room and board, medication and monitoring, and emergency care as well as social and recreational activities. Personal care is also included like bathing, dressing, and toileting assistance. Choosing the best nursing home needs time to work. You may begin the quest for an appropriate nursing home well prior to seeking admittance to the facility. Preparing in advance may lead you to a more suited nursing home for you. Ask your family for their opinion as well as the care providers on what services you’ll need. Make time to consider what services you need before calling different nursing homes. You may also consider the daily assistance you need like bathing, eating, dressing etc. Before arranging a stay to a nursing home, ask about openings, admission requirements, level of care provided and participation in government-funded health insurance options. 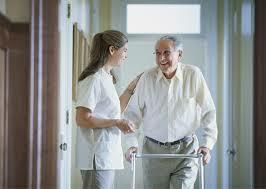 It is also necessary that the nursing home has the right facilities in case of emergency. To know whether the nursing home suits your needs, you must see it for yourself. Ask the management about their services and look around. You can l interview some patients to know about the quality of the services they received from the nursing home facility. 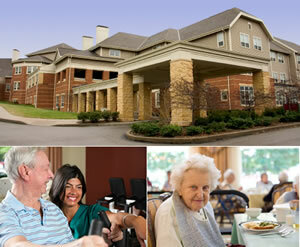 There are many issues regarding the quality of services offered by nursing homes. There are complaints from family members that say their elderly was mistreated or abused by nursing home employees. To get proper care for your beloved, you need to understand how the nursing home system works and how to fix or avoid these problems. If you have an idea that there is something wrong with their services, it’s best to talk about it with the nursing home employees. Friendly, open approach with the medical staff, nursing staff, the manager and other employees will help prevent issues from becoming serious. When an issue continues, however, chances are that other family members and citizens are also affected. Communication among family members is so important. The regulatory managing authority of nursing homes allows family members to talk with their elderly member in their own private area. You need to consult your loved one regarding the treatment he or she received within the facility. If you find some issues that you can resolve on your own, you can discuss it with the management. But if it is not possible, you can encourage a consultation with the management, employees and the residents as well as their family members to discuss the issues and how to deal with it. It shouldn’t get into a blaming confrontation. It should be in a democratic and professional way. You are there to resolve issues, not make them worse. Nursing homes, ideally, should be a comfortable place where residents receive the care they need. They must be their extended home where they get the right treatment and reverence. It is the responsibility of the management to provide proper training and education to their employees, to upgrade their services. Never reduce your respect to the needs your loved one deserves. Offering your free time to something that will benefit others is a very noble act. Volunteering will make you feel you did well with your free time by helping others; something memorable and worth the time. Nursing homes are one of the destinations of those who want to volunteer and spend some quality time serving people in need of a companion and assistance. Yes, a nursing home is not a fun place to visit; some call it a boring place. That’s a dishonor to our elders. Volunteers are not required to have a background in healthcare or have some specific degree or certification. All you need is your willingness to volunteer. The usual needs of the nursing home residents are of course medical care, but they also need mental exercises and emotional connection that is very important to keep them healthy. If you become a volunteer in a nursing home, you will be involved in activities and games that are very exciting and enjoyable. During these activities, you might be hosting contests or dances, bingo nights and card games. These kinds of activities will make the residents forget about the loneliness. You can also spend time talking to these remarkable residents who walked the earth long before us. You will be amazed by what you will hear about their life, the history that you are not aware of and their amazing adventure throughout their life. You will gain quality time and good memories throughout your shift as well as receive great smiles from the new people that you will meet. If you are the type of a person that loves interacting with people and open to extending help to others through your time, you might be suited to volunteering in a nursing home. Many reports have published information on the quality of care administered by nursing homes. This includes data on resident and family satisfaction and care outcomes. Information regarding a nursing home must be reviewed if you know that a family member needs nursing home care. Of course, we need to be sure that the facility is secure and the services they offer are above standard. You can also visit nursing homes yourself to check it or ask friends and family for their thoughts and experiences. There are agencies that monitor and check nursing homes regularly. The Office of Facilities Regulation examines nursing homes to guarantee that they follow state and federal standards. You can contact them to learn more about a facility’s inspection results and recommendations. The Healthcare Quality Reporting Program issues reports comparing the quality of care provided by different nursing homes in the state. Use the reports to learn about the outcomes that resident at different nursing homes experience and how often they get health conditions that good care may prevent. Learn what residents and families say about their experiences with nursing homes by viewing satisfaction survey results. You may have heard horror stories about the quality of nursing home care. However, there are good nursing homes as well as bad ones. The nursing home should be hygienic and well maintained. A bad smell may indicate the staff is too busy to help residents to the bathroom or to change clothes. Rooms and public areas should be comfortable. The dining room and kitchen should be clean, and the food should be hot and appetizing or else their patients will lose weight due to lack of appetite. Another thing, find out how the nursing home complies with the state and federal government regulations such as patient/staff ratio and training. Notice how staff members treat residents. Your choice will be a big factor to the health of your family member. Make sure you make the right decision and to continually monitor their program. Despite the state’s aging population, the common age of Ohio nursing-home citizens has decreased from 83.1 years to 77.3 in less than two years, according to a state-commissioned report. Several reasons underlie the pattern. On one hand, far more senior Ohioans who would have been in assisted living centers 20 years ago are in their own homes today, thanks to the state’s focus on less-expensive home-health services. Among Ohioans, at least 60 years of age who need help looking after for themselves, 55% obtained proper care in a seniors care facility this year compared with 91% in 1993. And the state now is based far less on nursing-home care than in the 90’s, when Ohio had one of the highest rates of nursing-home use and its State Medicaid programs per-capita nursing-home expenses were among the biggest in the country. Ohio’s rate has enhanced from 47th among states, to 24th, said Bob Applebaum, director of the Ohio Long-term Care Research Project at Miami University’s Scripps Gerontology Center. “It symbolizes an amazing success tale for the state,” he said. But a malfunction in the state’s healthcare system also is a factor in the lower regular age of nursing-home citizens, Applebaum said. The number of nursing-home citizens younger than 60 more than tripled between 1994 and 2012, from 4% to 12.7%. And 1 in 6 State Medicaid enrollees residing in assisted living centers was younger than 60 this year. That is an increase of 26% from 1997 and coincided with an 11% drop in the number of State Medicaid programs enrollees older than 60 in assisted living centers. In the spring of 2012, there were 8,723 State Medicaid program enrollees younger than 60 in assisted living centers. Of them, 18.5% needed no assistance with “activities of daily living” such as showering, putting on clothes, eating and self care. Competition from assisted-living centers and home-health organizations also has forced assisted living facilities to keep prices down, Applebaum said. Ohio has kept speed with its growing inhabitants of elderly citizens with serious problems, but that growth is expected to speed up over the next 25 years, increasing in size. 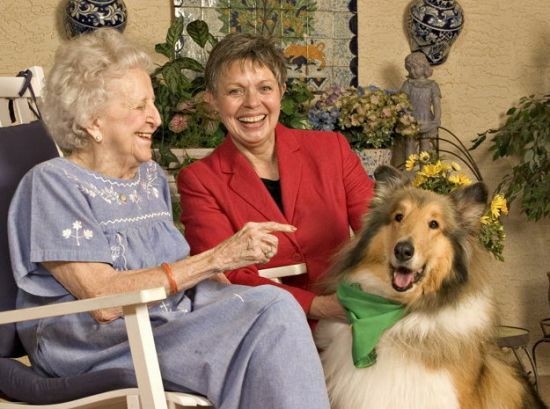 Assisted living is an alternative living arrangement for senior citizens requiring moderate care, including help with activities like eating, getting dressed, bathing, and using the bathroom as opposed to the more intensive care provided in nursing homes. This type of care serves as an intermediate between in home care for the elderly and the elder care provided by a nursing home. 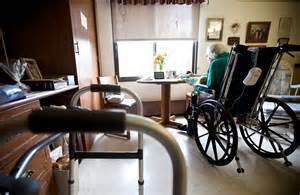 Facilities for this type of living may be in connection with retirement communities, nursing homes, home medical care agencies, or complexes for senior citizens, or they may be separate facilities. This type of elder care is known by many names, such as residential care, board and care, congregate care, and personal care. Another aspect of assisted living centers to think about is cost. Assisted living is generally less expensive than elderly care service, but more expensive the in house care for the elderly. The usual range is anywhere from $10,000 per year to over $50,000 per year, so it is important to know what you can afford and how much each service costs. Another thing to know is that there may be fees not included in the basic rate. It will be helpful to figure out how much extra you will have to pay to live in a certain house. Insurance may help cover some of these expenses, but usually, charges are covered primarily by the elderly people who decide to live in these homes or family members responsible for them. Some assisted living centers also offer financial assistance programs, which you may want to inquire about. Medicare does not cover the expenses of these homes or the senior care provided there. Medicaid is the joint federal and state program that helps elderly people and people with disabilities pay for medical care when they are unable to afford it. 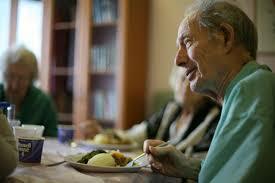 It may cover the service component of assisted living in certain states. It is important to consider the different options in elder care. If cost is a concern, it may be helpful to consider in house care. This type of senior care may provide sufficient care for your needs in the comfort of your own house. If the degree of senior care provided by in house care or an assisted living service does not meet your needs, consider an elderly care service or nursing home. The cost of living at nursing homes has soared to a new high of more than $80,000 per year. Over the past five years, the average yearly price of private nursing homes has jumped 24% from $67,527 to $83,950, according to Genworth’s 2013 Cost of Care Survey, based on data from nearly 15,000 long-term health care providers. From 2012 to 2013 alone, the price climbed 4%. A combination of factors is pushing expenses greater, said Bob Bua, V. P. of Genworth. Expenses like insurance, food, building maintenance and labor expenses are all going up and being passed along to customers as a result. “Nursing home employees hardly ever get pay decreases, food hardly ever costs less, rent hardly ever goes down, it’s an ever-increasing cycle,” Bua said. It’s not much cheaper for a semi-private room at a nursing home, where space is shared with at least one other person. This brings up at an average $75,405 per year, up 23% from five years ago. A less expensive alternative to nursing homes are assisted living facilities because they don’t offer the same level of care, but these are also seeing significant price increases from year-to-year. The average yearly price of care in an assisted living service is $41,400, up nearly 5% from last year and 23% greater than five years ago, Genworth discovered. The price of at-home care, such as home health aides or homemakers, is rising at a much slower pace. Hiring a homemaker, who typically assists elderly people with cleaning, cooking and transportation, currently costs an average $41,756 per year, up just 1% from last year and a mere 4% increase from five years ago. Home health aides, who provide more hands-on care like bathing and grooming, cost $44,479 per year, up 5% from five years ago. At-home care is also the most attractive option for many elderly people. A separate Genworth study discovered that 78% of respondents would prefer to receive care in their own houses rather than go to a nursing home or assisted living service.